A bleak but comic psychological portrait of a young innocent, Lucy Entwhistle, and her domineering husband. Lucy meets Everard Wemyss on the day of her father's funeral, while Wemyss is still mourning the recent loss of his wife, Vera. The two fall in something like love, and Everard convinces Lucy to marry him. But Lucy eventually learns the disturbing true extent of her new husband's controlling quirks, and glimpses the real story behind his first wife’s death. 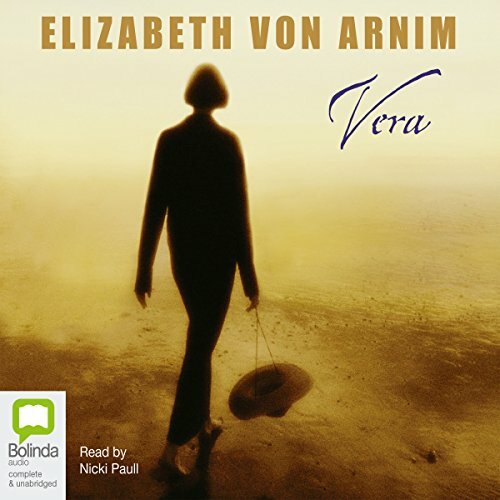 Australian actress Nicki Paull provides a smooth, distinguished narration of this cautionary tale, said to be based on author Elizabeth von Arnim’s second marriage to Bertrand Russell’s brother. Best-selling classic. In print since 1921. Lucy Entwhistle's beloved father has just died; aged 22 she finds herself alone in the world. Leaning against her garden gate, dazed and unhappy, she is disturbed by the sudden appearance of the perspiring Mr Wemyss. This middle-aged man is also in mourning - for his wife Vera, who has died in mysterious circumstances. Before Lucy can collect herself, Mr Wemyss has taken charge: of the funeral arrangements, of her kind aunt Dot, but most of all of Lucy herself - body and soul. Elizabeth von Arnim's masterpiece is a forceful study of the power of men in marriage, and the weakness of women when they love. For those who have read Elizabeth von Arnim books, this is not the "The Enchanted April" or "Elizabeth's German Garden". This is not a book for the faint of heart or mind. This is not a book for kids of any age. However, if you are tough enough, this book will take you by the throat and hurl you crashing against the last period of the last sentence. I think that it is one of Elizabeth von Arnim's most powerful and best books. I add that it is one that I least like. I read it much less often than "The Enchanted April". For young women who fancy themselves in love, read this book then look again at your proposed husband. You might see Vera, the young, beautiful, first wife of Mr. Wemyss dead. Did she commit suicide? Or was she pushed? Was she driven to take her life? We wonder; we speculate; we have thoughts. What is the fate of Lucy, the young, lovely, soft, wonderful second wife? I do not wonder. I know. I know.